At the bus terminal in Albrook, where one gets tickets to David and Bocas buses. Photo by Eric Jackson. In the last year or two of the Martinelli administration there was unprecedented theft of government resources to finance the purchase of votes for Cambio Democratico’s attempt to perpetuate itself and, functionally if via front people, Ricardo Martinelli in power. The scale was something not seen before, but in the waning months of every administration the government advertising budget goes up as the party about to end its term in office tries to let the people know how much it has done for them. There are always new rules to limit the practice but it happens just the same anyway. 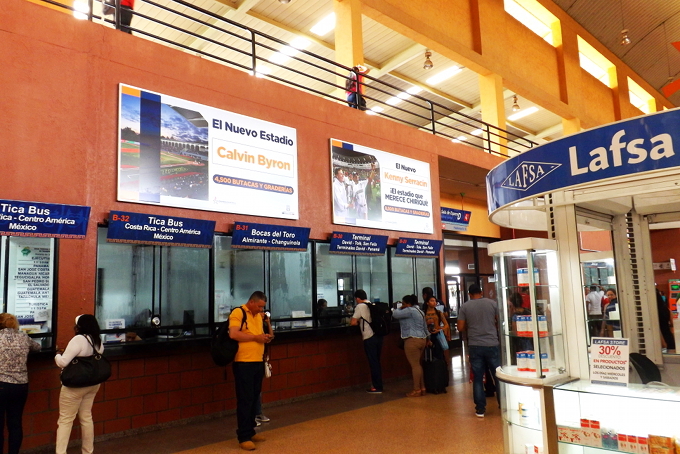 Now, at the National Bus Terminal in Albrook, people buying tickets for David or Bocas del Toro are reminded of new baseball stadiums that the Varela administration has delivered for the home teams there. Since the end of the dictatorship in 1989, this has never worked. The party that as held the presidency has always lost it. But there is the hope that THIS TIME it will be different.